A cloud has descended over the household of Lady Jeanette Avenel. THe year is 1162. Sixteen-year-old Jenny has always enjoyed her freedom as second daughter of a Norman nobleman in Teviotdale, Scotland. But when Jenny's sister, Isabel, disgraces the family by running away with a dangerous suitor, Jenny is thrust reluctantly into the role of elder daughter. While Jenny worries about her sister's future, her father's attention turns keenly toward Jenny, and finding her a worthy suitor. When Jenny is chosen as a potential bride for William de Warenne, brother of the king of Scotland and heir to the crown, redemption of her family's name seems within reach. Amid formal banquets and jousting tournaments, she struggles to impress the aloof Earl William. At the same time, however, she finds herself drawn to Tam Lin, a mysterious young man. Rumored to have been kidnapped by fairies, Tam harbors a dark secret from his past that threatens everyone close to him . . . including Jenny. 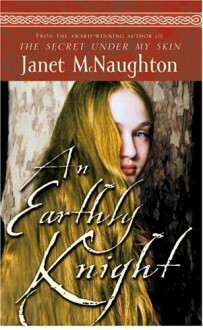 Glimmering with exquisite detail, Janet McNaughton's beautifully woven story transports readers to a magical medieval world where one young woman navigates the forceful tides of tradition and the ancient power of fairies to define her own destiny.